CODY OWEN STINE is a composer/lyricist who writes for theater, cabaret, and those indestructible gold records in time capsules we periodically send into space. A new rock musical in progress, loosely based on the Heinrich von Kleist play. Penthesilea, fearsome Amazon warrior queen, leads her army right into the middle of the Trojan War—and falls in love with Achilles. With rock music! Developmental reading at the Williamstown Theatre Festival, Summer 2016. A new musical with a contemporary jazz score, The Prisoner of Vegas follows Jeff Rosen, an ordinary guy who gets dumped at the altar in Vegas and then turns out to be a dead-ringer for the Mafia-connected casino owner. When Jeff is talked into impersonating the casino owner, he finds himself battling mobsters, wearing much nicer suits, and worst of all, falling in love with the boss's fiancée. A story about love, risk, gambling, identity, and a washed up lounge singer who does a magic act with a rabbit whom she hates. 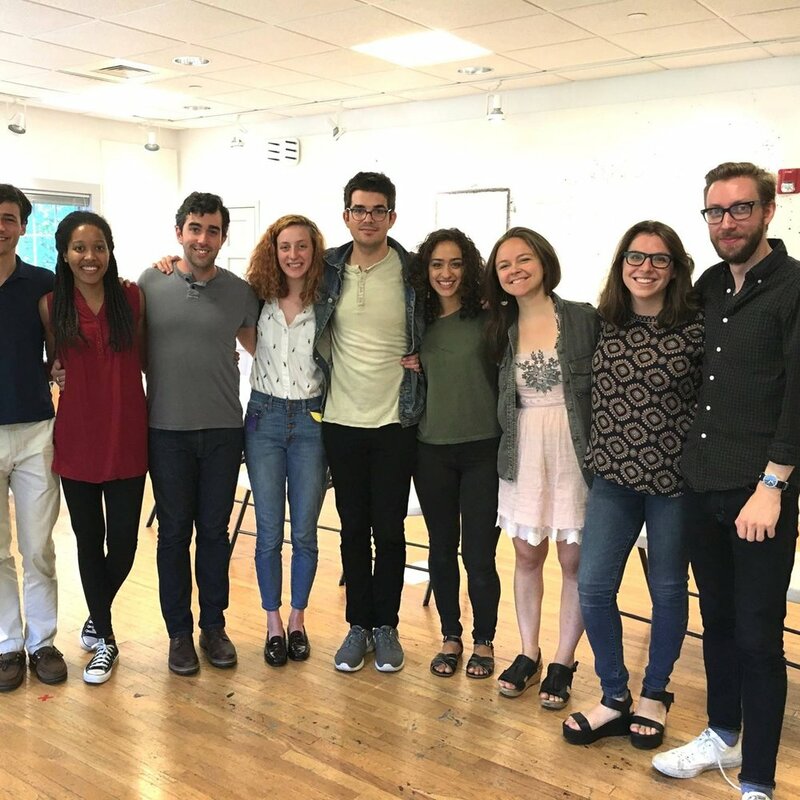 Developmental readings at the BMI Workshop, New York Theatre Barn, and Manhattan Musical Theater Workshop. A new production of Aristophanes' classic. Adapted and directed by Lily Riopelle, with original songs by Cody Owen Stine. Produced by Two-Headed Rep, Spring 2017, New York, NY. Delilah Dix, a series of one-woman shows written and performed by Amy Albert, with original music and lyrics by Cody Owen Stine. Produced at Ars Nova, Edinburgh Fringe, Second City, LA, and elsewhere! A soaring real estate market in Lower Manhattan offers a young couple the chance to cash in — but what’s the real price of happiness? Three chords and some mild prevarication. ...or, alternately, they were written for concerts, cabaret events, benefits, personal vendettas, etc.